Vietnam – China International Trade and Tourism Fair 2010 was an activity in Trade promotion program from Ministry of Industry and Trade. Annually held at the end of each year, the fair has attracted many companies and consumers from all over the country. 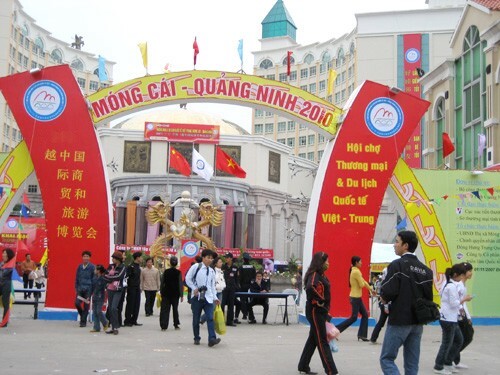 In 2010, the fair took place from 19th to 25th, Nov in Mong Cai town, Quang Ninh with over 400 booths of various types of goods. Those are high-quality products of both Vietnamese and Chinese companies. During the fair, thousands of people came to visit and shop every day. TrungThanh - the leading business enterprise of the North in the field of food spices - has always actively participated in "Vietnam goods in countryside" by the Department of Trade and Industry and BSA; "Worker’s market" or " International trade fair in Lang Son Considered Mong Cai the gateway connected ASEAN and China markets, TrungThanh attended the fair the second time.